Subaru climbs into the top 5 automakers who are driving online and offline conversations with their customers. See why they leaped 8 spots. 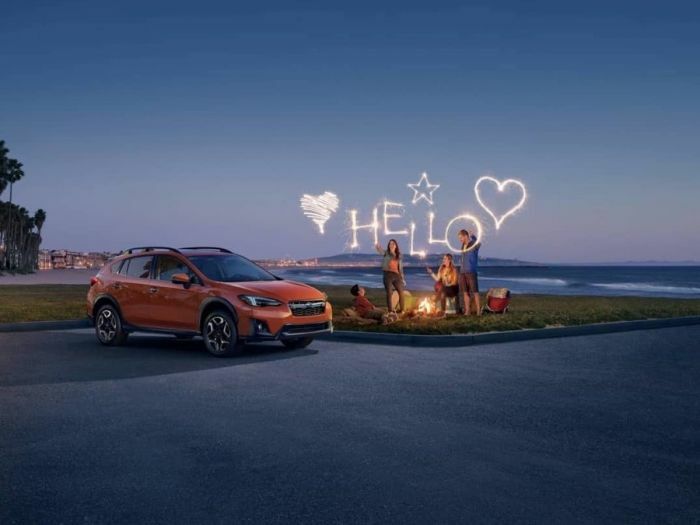 Subaru is a small automaker, but they are one of the leaders in the auto industry in connecting with their customers. Subaru is one of the best when it comes to loyalty to the brand. Customers are fiercely loyal and they keep coming back when they need a new vehicle. Part of what Subaru does is connect online and offline better than most. Engagement Labs an industry-leading data and analytics firm that focuses on the entire social ecosystem and its impact on business, today released its TotalSocial ranking of the top automotive brands in the U.S. based on social influence. They use analysis that measures the most important drivers of brand performance in both face-to-face (offline) and social media (online) conversations. The brands in the top ten have earned the highest TotalSocial scores in the category for the last six months, compared to the Company’s previous ranking in October 2017. The biggest improvement among the top ten automakers came from Subaru, which moved up eight spots all the way to fifth place due to a spike in both online and offline sentiment. Subaru leaps ahead of Ferrari, Mercedes-Benz, Lexus, Jeep and Tesla to take the #5 spot. How did they do it? It’s all about how they connect with their customers and keep them talking about their brands. The small Japanese automaker is #5 for generating very positive conversations with consumers along with top car brands Lamborghini and Toyota in first and second place respectively. Subaru keeps positive conversations going about their brand through a number of offline events that engage their customers. They hold numerous Subaru sponsored car shows around the country where performance enthusiasts can show off their custom WRX STIs. These events feature live music, factory reps, prizes, and plenty of good food for fans. They also hold many winter events at popular ski resorts during the season to showcase their vehicle’s all-wheel-drive capabilities. They also sponsor a Cherry Blossom Festival in Philadelphia, Dining Out for Life fundraiser, Subaru Loves Pets initiative, “Meet an Owner”, and many other customer-focused events. These are all geared towards creating a positive experience for owners who then have positive conversations about the Subaru brand with their friends. Subaru is doing this better than most other automakers.